Oops wrong show .......see what happens when ya gone? Hehe.. good to see you, mate. How's everything with you? Hope you're doing well. Well, what or who is the 'community fox'? I am, and I am anxiously awaiting the new iPhone "5"! Can't waiiiit! Ah, ok. I just remember you as Leo Renard. I can't wait for the new iPhone either! Hondamaker I am so excited too! This is so much fun anticipating the new iPhone and watching the new reveal on September 12th. The time is getting closer. I can't wait to see what this new iPhone is really going to look like. I think we'll all be happy! I can't believe anyone believed this! 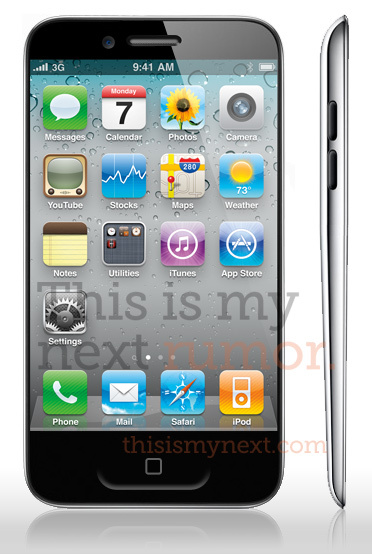 I truly wish the iPhone 5 is going to be worthwhile because, in my honest opinion, the iPhone 4S was a disappointment for me; the announcement of the iPhone 5 is what I've been waiting for ever since the announcement of the iPhone 4 - whatever happened in the middle I don't really care for.